Kinesio tape is an elastic adhesive tape that has been used to help people of all ages with muscle aches, pains, and inflammation while assisting the body with healing and circulation. 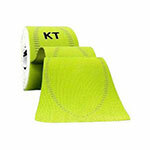 This specialty tape is latex-free, hypoallergenic, water-resistant, and does not limit or restrict motion. 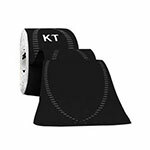 The tape microscopically lifts the skin which allows for less pressure and a slowing of inflammation to the targeted area. 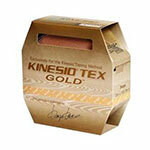 These tapes can be worn before, during, and after all activity levels from minor to strenuous. 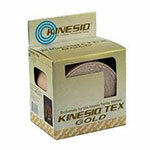 Kinesio tapes come in a wide range of colors and sizes, and can be cut, trimmed, and shaped to perfectly fit the intended target area.